Revolt and Rebel is a small studio with its office placed in the exact centre of Gdynia. It was found on march 2016 and since then we are working on our first game named ‚From shadows’. We are specializing in untypical games which can’t be put down to just one category and are turning upside down customary template. We are creating multiplatform games and our main target group is mid core. Our games are featured by high quality graphics and that’s why our current production is hand drawn in 4K resolution mix of platformer and beat ’em up with small addition of RPG elements (character leveling, talent system). 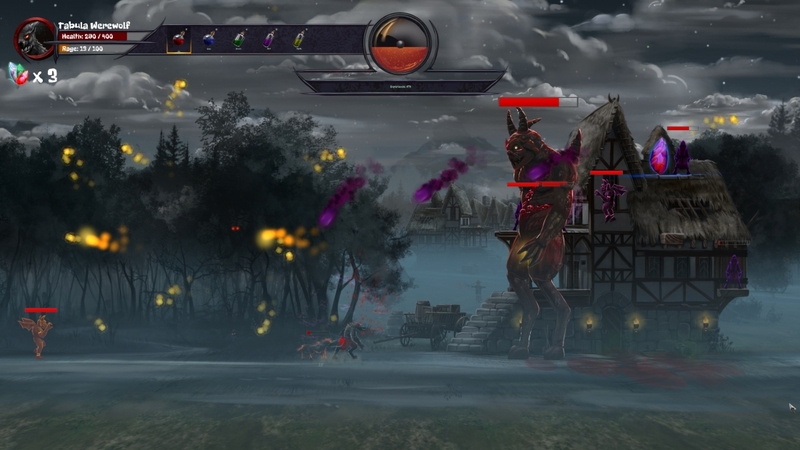 Main characters of this game are werewolf and vampire who, in very spectacular way (series of combos and special attacks), are fighting their way through hundreds of minor demons so they can finally face and defeat four main bosses. All that is followed by atmospheric sounds introducing into aura of menace embellished with interesting storyline. We are working hard to gain experience that will allow us to create bigger and more evolved games waiting in the line to be made.